Anadrol can cause acne problems, it is Very liver toxic, it retents water, increases blood pressire. It Decreases HPTA function in extreme measures. Since it's a DHT derivate it won't convert DHT. Drug Class: Highly Anabolic/Androgenic Steroid. Anadrol 50 is the U.S. brand name for oxymetholone, a very potent oral androgen. This compound was first made available in 1960, by the international drug firm Syntex. Since oxymetholone is quite reliable in its ability to increase red blood cell production (and effect admittedly characteristic of nearly all anabolic/androgenic steroids), it showed particular promise in treating cases of severe anemia. For this purpose it turned out to be well suited, and was popular for quite some time. But recent years have brought fourth a number of new treatments, most notably the non-steroidal hormone Epogen (erythropoietin). This item is shown to have a much more direct effect on the red blood cell count, without the side effects of a strong androgen. Financial disinterest finally prompted Syntex to halt production of the U.S. Anadrol 50 in 1993, which was around the same time they decided to drop this item in a number of foreign countries. Plenastril from Switzerland and Austria was dropped; following soon was Oxitosona from Spain. Many Athletes feared Anadrol 50 might be on the way out for good. But new HIV/AIDS studies have shown a new light on oxymetholone. These studies are finding (big surprise) exceptional anti-wasting properties to the compound and believe it can be used safely in many such cases. 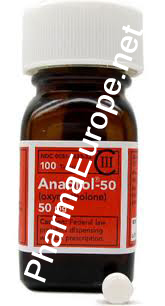 Interest has been peaked, and as of 1998 Anadrol 50 is again being sold in the United States. This time we see the same Anadrol 50 brand name, but the manufacturer is the drug firm Unimed. Syntex continues to market & license this drug in a number of countries however (under a few different brand names). Anadrol 50 © is considered by many to be the most powerful steroid available, with results of this compound being extremely dramatic. A steroid novice experimenting with oxymetholone is likely to gain 20 to 30 pounds of massive bulk, and it can often be accomplished in less than 6 weeks, with only one or two tablets per day. This steroid produces a lot of trouble with water retention, so let there be little doubt that much of this gain is simply bloat. But for the user this is often little consequence, feeling bigger and stronger on Anadrol 50 than any steroid they are likely to cross. Although the smooth look that results from water retention is often not attractive, it can aid quite a bit to the level of size and strength gained. The muscle is fuller, will contract better and is provided a level of protection in the form of "lubrication" to the joints as some of this extra water is held into and around connective tissues. This will allow for more elasticity, and will hopefully decrease the chance for injury when lifting heavy. It should be noted however, that on the other hand the very rapid gain in mass might place too much stress on your connective tissues for this to compensate. The tearing of pectoral and biceps tissue is commonly associated with heavy lifting while massing up on heavy androgens. There is such a thing as gaining too fast. Pronounced estrogen trouble also puts the user at risk for developing gynecomastia. Individuals sensitive to the effects of estrogen, or looking to retain a more quality look, will therefore often add Nolvadex to each cycle. Clearly if this is the case we can only combat the estrogenic side effects of oxymetholone with estrogen receptor antagonists such as Nolvadex or Clomid, and not with an aromatase inhibitor. The strong anti-aromatase compounds such as Cytadren and Arimidex would similarly prove to be totally useless with this steroid, as aromatase is uninvolved. Anadrol 50 is also a very potent androgen. This trait tends to produce many pronounced, unwanted androgenic side effects. Oily skin, acne and body/facial hair growth can be seen very quickly with this drug. Many individuals respond with severe acne, often requiring medication to keep it under control. Some of these individuals find that Accutaine works well, which is a strong prescription drug that acts on the sebaceous glands to reduce the release of oils. Those with a predisposition for male pattern baldness may want to stay away from Anadrol 50 completely, as this is certainly a possible side effect during therapy. And while some very adventurous female athletes do experiment with this compound, it is much too androgenic to recommend. Irreversible virilization symptoms can be the result and may occur very quickly, possibly before you have a chance to take action. It is interesting to note that Anadrol 50 does exhibit some tendency to convert to dihydrotestosterone, although this does not occur via the 5-alpha reductase enzyme (responsible for altering testosterone to form DHT) as it is already a dihydrotestosterone based steroid. Aside from the added c-17 alpha alkylation (discussed below), oxymetholone differs from DHT only by the addition of a 2-hydroxymethylene group. This grouping can be removed metabolically however, reducing oxymetholone to the potent androgen l7alpha-methyl dihydrotestosterone (mesterolone; methyldihydrotestosterone)~. There is little doubt that this biotransformation contributes at least at some level to the androgenic nature of this steroid, especially when we note that in its initial state Anadrol 50 has a notably low binding affinity for the androgen receptor. So although we have the option of using the reductase inhibitor finasteride (see: Proscar) to reduce the androgenic nature of testosterone, it offers us no benefit with Anadrol 50 as this enzyme is not involved. The principle drawback to Anadrol 50 is that it is a 17alpha alkylated compound. Although this design gives it the ability to withstand oral administration, it can be very stressful to the liver. Anadrol 50 is particularly dubious because we require such a high milligram amount per dosage. The difference is great when comparing it to other oral steroids like Dianabol or Winstrol, which have the same chemical alteration. Since they have a slightly higher affinity for the androgen receptor, they are effective in much smaller doses (seen in the 5mg and 2mg tablet strengths). Anadrol 50 has a lower affinity, which may be why we have a 50mg tablet dosage. For comparison, taking three tablets of Anadrol 50 (150mg) is roughly the equivalent of 30 Dianabol tablets or 75 Winstrol tablets(!). When looking at the medical requirements, the recommended dosage for all ages has been 1 - 5 mg/kg of body weight. This would give a 2201b person a dosage as high as 10 Anadrol 50 tablets (500mg) per day. There should be little wonder why when liver cancer has been linked to steroid use, Anadrol 50 ~ is generally the culprit. Athletes actually never need such a high dosage and will take in the range of only 1-3 tablets per day. Many happily find that one tablet is all they need for exceptional results, and avoid higher amounts. Cautious users will also limit the intake of this compound to no longer than 4-6 weeks and have their liver enzymes checked regularly with a doctor. Kidney functions may also need to be looked after during longer use, as water retention/high blood pressure can take a toll on the body. Before starting a cycle, one should know to give Anadrol 50 the respect it is due. It is a very powerful drug, but not always a friendly one. When discontinuing Anadrol 50 , the crash can be equally powerful. To begin with, the level of water retention will quickly diminish, dropping the user's body weight dramatically. This should be expected, and not of much concern. What is of great concern is restoring endogenous testosterone production. Anadrol 50 will quickly and effectively lower natural levels during a cycle, so HCG and/or Clomid - Nolvadex are a must when discontinuing a cycle. The common practice of slowly tapering off your pill dosage is wholly ineffective at raising testosterone levels. Without ancillary drugs, a run away cortisol level will likely strip much of the muscle that was gained during the cycle. If HCG and/or Clomid/Nolvadex are used properly, the person should be able to maintain a considerable amount of new muscle mass. Before going off, some alternately choose to first switch over to a milder injectable like Deca-Durabolin. This is in an effort to harden up the new mass, and can prove to be an effective practice. Although a drop of weight due to water loss is likely when making the switch, the end result should be the retention of more (quality) muscle mass with a less pronounced crash. Remember ancillaries though, as testosterone production will not be rebounding during Deca therapy.